Early and regular prenatal care ensures both you and your baby stay healthy throughout your pregnancy. 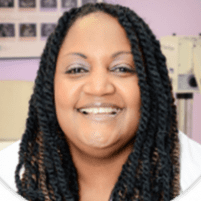 Angela Hudson, MD, at Women’s Healthcare Center of Georgia, is an expert in women’s health and provides prenatal care for both normal and high-risk pregnancies. If you’re searching for a caring and kind OB/GYN to help bring your baby into the world, call the office in Powder Springs, Georgia, or schedule an appointment online. You should schedule your first prenatal visit with Dr. Hudson around eight weeks after the first day of your last menstrual period. Your first prenatal visit may be the longest, but it’s a good time for you to get to know Dr. Hudson and learn all the ins and outs of what to expect during your pregnancy. Dr. Hudson also answers all of your questions to help ease your nerves so you can enjoy your pregnancy. How often do I follow up with the doctor? The frequency of your prenatal visits is determined by Dr. Hudson and may depend on your age and whether your pregnancy is high risk. During each follow-up visit, Dr. Hudson checks your weight and blood pressure, tests your urine, and measures your abdominal girth. This is also a good time for you to share any concerns or issues you may be experiencing, such as morning sickness or swollen feet. What types of tests do I need during prenatal care? You may also consider special testing if you have concerns about chromosomal or genetic issues with your baby. A high-risk pregnancy occurs when either your health or your baby’s health is at risk. If your pregnancy is considered high risk, you may require more specialized prenatal care. Dr. Hudson also specializes in infertility and can provide expert and compassionate medical care to women who’ve experienced recurrent pregnancy loss. For expert prenatal care from a physician who puts your care first, call Women’s Healthcare Center of Georgia. Or you can schedule an appointment using the online booking button.